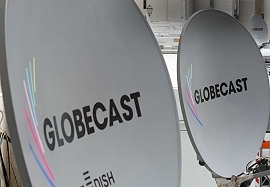 Globecast launches Media Management platform at IBC. Paris, July 2017: At this year's IBC exhibition in Amsterdam, Globecast launches its new integrated platform that enables its customers to clip, edit and publish high-quality content instantly across multiple outlets. Customers can create video-on-demand files from live streams and syndicate to multiple online services and across social media. Globecast’s powerful expertise in covering live events enables its customers’ editorial teams to package action highlights during and after an event, then to publish to all screens. Globecast’s intelligent media management system automatically allows content owners to increase viewer/follower engagement, grow their audience and introduce new monetisation models. In addition, Globecast will also be promoting at IBC its GCXN solution. This manages the transport of broadcast and media services over the public internet. Allowing very rapid deployment, it enables customers to create and then distribute content wherever they may be, far quicker and more cost effectively than using traditional fibre. GCXN is used for primary and secondary distribution with broadcast-grade quality. It comes as a standalone service or as a complementary solution to satellite services. It can also be used for disaster recovery and monitoring of video services. Using the public Internet, GCXN has universal reach that is secure and reliable. It’s a comprehensive service that’s managed and monitored end-to-end, delivering peace of mind. The Globecast stand at IBC is 1.A29.